I just loved the sermon so much today at church. It was exactly what my heart needed. He had my heart and attention with the reading of the word by a little girl. I love to hear the Word from the mouth of "innocent" children. The preacher was this man who performed Brody's dedication service. 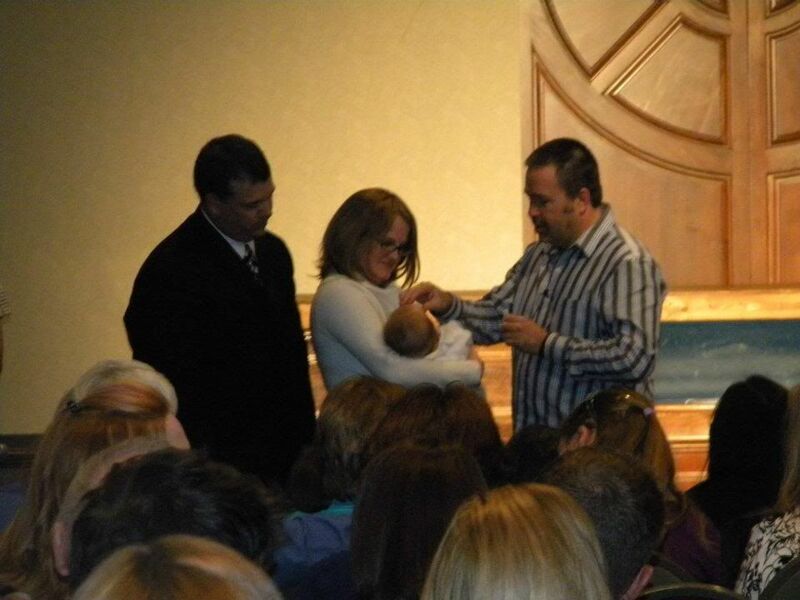 He is an associate pastor and a leader in the children's ministry area. Evan and I recently finished reading "The Voyage of the Dawn Treader" in the Narnia series by C.S. Lewis and are about to embark on this adventure. He is very excited to read about more talking animals, giants, and evil witches that turn into poisonous green snakes! In this book (my favorite in the Narnia series although probably the least popular), Eustace and a new girl to the series, Jill Pole, get called into Narnia and begin their journey on the top of a great mountain in Aslan the Lion's country. If you know anything about these books, you know that Aslan is a Christ-like figure. At the end of Dawn Treader, Aslan speaks to Edmund and Lucy and tells them they won't be coming back to Narnia and tells them they must know him by his other name, Jesus, in their world. 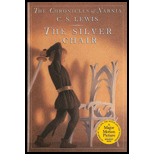 Eustace is allowed to come back in "The Silver Chair." Eustace and Jill find themselves at the edge of a very tall cliff and are arguing when Eustace falls off the cliff. Luckily, Aslan appears and begins blowing Eustace down on a cloud of his breath to the lands below. Jill is left alone on the mountain with Aslan. She doesn't know about Narnia except for what Eustace told her and has trouble believing. She is afraid when Aslan talks to her at first, but he leads her to understand that she was wrong to fight with Eustace. Then, he gives her a great task and four instructions to remember. He doesn't tell her he'll punish her for not remembering. He actually promises her a reward for remembering and following the instructions. He tells her that if she follows the instructions carefully, her task will be easy. They aren't difficult instructions, and he has her work diligently to memorize them. Jill finally gets them and is blown down to Narnia to meet up with Eustace. She immediately becomes so wrapped up in herself and her own excitement over the journey that she forgets to remember the instructions. One by one she boggles them and creates a mess in performing the task of rescuing the prince. If she had remembered the very first instruction which was to remind Eustace to find an old friend, their way would have been easy because they would have had all the resources of the kingdom of Narnia at their disposal. Eustace's old friend was actually the king who he did not recognize right away because of his great age (Narnian time goes faster than our time so many years had passed since Eustace's last visit). The king was Prince Caspian from the previous stories. Anyway, I won't ruin anymore of the book, but it is a great story and teaches a lesson on listening to God. I can't wait to read it to Evan. The preacher explained that like Aslan and Jill, God wants us to follow after Him and follow His instructions. He actually promises us great rewards for doing so...like an eternity in heaven with Him. His instructions aren't difficult. He wants us to "Be imitators of God as a dearly loved child." He wants us to remember that we are all His dearly loved children who He made the ultimate sacrifice to save. He doesn't tell us He'll punish us for not imitating or following after Him, but He does promise rewards. One of His most important commandments is "Honor your father and mother." There is actually a great promise attached to this one -- and your days will be long upon the earth. He actually promises us long life for honoring our parents. Our relationship with our parents, and our children's relationships with us are the most important relationships we'll ever have. We are the greatest influence on our children. This one really hit me kind of hard because I know I am not always the best influence on my children. I have a quick and fiery temper and lose my cool a lot! I have said hurtful and mean things to their father in my anger...yes in front of the kids. Guilty as charged! I am not proud of that fact, but I am not perfect. I never claim to be. I want to be a better wife and mother. I want to teach my children by example to love and respect their father who is so loving and good to us. Eddie is just the best example of God as a father. The preacher said something else that was eye-opening. He said we are married to a full-length mirror. Our spouse should show you who you really are. God says we must "submit" to our spouses in reverence to God. What does submit mean? To me, it means unconditional love and acceptance. It means I accept my husband for who he is, faults and all, and he does the same for me. It means I don't chastise him and bring him down; I lift him up every chance I get. Yes, I do need to work on this. My hurtful words said in anger do not reflect the truth of my feelings for him, but they are what he hears. I want him to hear the truth. That I love him unconditionally and that he is perfect for me! The preacher gave this funny analogy: he said children are like puppies and teenagers are like cats. Puppies and dogs follow their loved ones around everywhere, obey them without fail, and just want to be near them all the time. My young children love me so much. When I walk in the door after a long day at work, they greet me at the door with the biggest smiles, and Evan says, "It's Mommy! Mommy's home!" I can't get in the door without being bombarded with the biggest hugs that almost topple me off my feet. It is wonderful. It is love! And to think, if my children love me this much, how much more does God love me? I don't know much about the teen years yet, but from what I've seen and heard, I can get the cat analogy. Cats want independence. They don't depend on humans for love, affection, or food. They want to be free to catch mice for food and to come and go at their will. When they get in the mood, they may come over and let you rub or scratch their back, but it is on their terms. With teens, we have to give them space and room to grow. Sometimes, we have to wait until the time is right to approach them. We have to be available for them to come to us. Those will be great lessons that I want to remember for the future. "What you help a child to love is more important than what you help a child learn." That really sums it all up. If we show our children love by example, they will love in return. This statement conflicts with the old statement my parents would occasionally use on me (mostly when they were teasing): "Do as I say; not as I do." Parents who tell a child to behave one way but then act the opposite are teaching their children by their example. Children imitate the parents, and they will do what they see the parents do. God says, "Children, obey your parents in the Lord." God wants us to obey our parents in reverence and respect for Him. In turn, God instructs parents to "not provoke children." He wants us to parent like Him -- out of grace and love. He also wants us to base our identity as parents and children on Him and His example and not on the values of the world. The world places value on our "position" in the world. Doctors, lawyers, politicians, businessmen and women have places of higher value than other workers in the world. God values us all the same and puts a value on the "quality" of the work we do for Him. I want to read this over and over again and remember all of these important lessons. I don't want to forget like Jill! This is one of my favorite worship songs, and the service was ended with this heart warming song. This is my desire...to love God from the inside out! Because His love for me is everlasting and His glory goes beyond all fame! If you ask me why I believe what I believe, I'll tell you it's because it is my purpose. I was made to love God. It is what we are all made for. Our hearts and souls literally cry out for Him. When we are lost in the world and darkness, we question all things and our purpose. Finding God was finding myself and my purpose! I wouldn't trade that for anything in this world. Thank you for everything you said in the reflection, especially the part about you as a wife. It was like looking in a mirror and something I totally needed to be reminded of so thank you again. I'm glad you enjoyed it, Natasha! I definitely needed the reminder too!